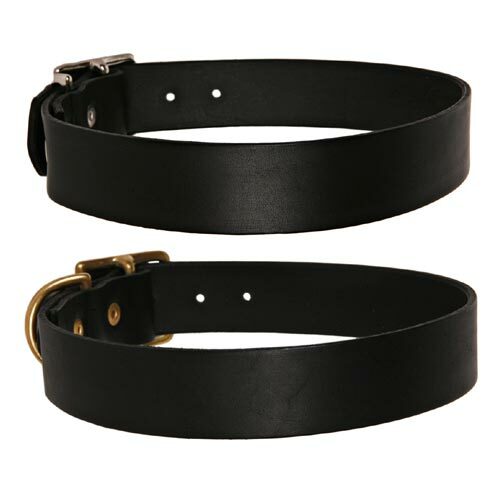 Black leather dog lead and optional matching collar, handmade with love in the UK by Creature Clothes. 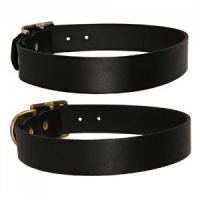 The leathers used are strong yet supple and each lead is finished with quality brass or nickel furniture. If you're looking for something a little bit different, a Creature Clothes dog lead is the one for you. Designed and handmade using the finest Spanish saddle leather which is dyed throughout so will age beautifully. Treated with Neatsfoot Oil to protect the leather. 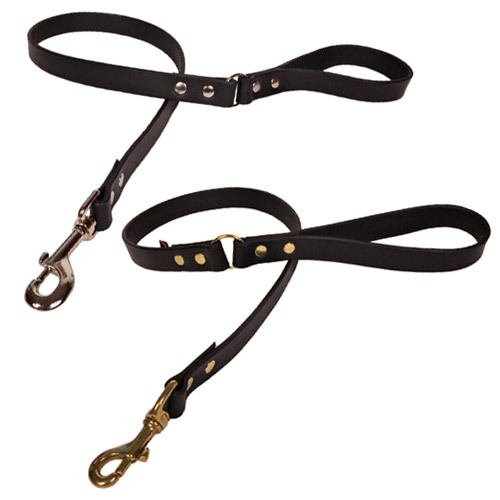 This plain black leather dog lead has double rivets at the joints and a metal 'O' join between the main lead and the handle. This gives more flexibility to the lead and allows it to be clipped around your waist or shoulders when not in use. Very handy. 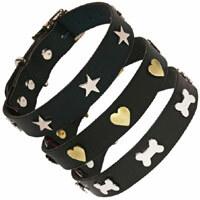 A matching leather dog collar is also available if your dog would like the set. 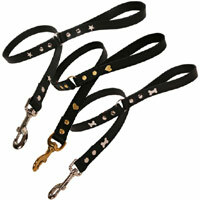 Or choose the studded version if you fancy some decorative studs on the collar or lead.